Stephan’s States: Why Can’t I Ever Do Well? 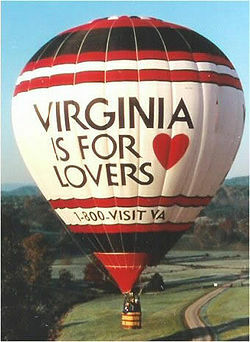 balloonsovervirginiaHey SixPrizers! Stephan here again with a States report. I was at the Virginia States, week one. I went to sleep the night before States at 3 AM and woke up around 6 AM, so I was tired. But whatever. My brain was still sharp as ever, and so were my looks. I had a quick shower and then met with another member of my team and we had breakfast and did a small amount of testing, and we were off to States. The car ride was awesome. It was a scenic drive, and I had a good time, even though I don’t normally do great on long car rides. My teammate and I talked about how to approach different matchups, because he was new to the game. Well, that is about all I did that morning. It was an overall good time, and it was funny, too because 2 guys with a terrible singing voice + Bruno Mars’ “Grenade” stuck in their head = an irritated driver. There was also talk of Lamborghinis and Ferraris because we have been trying to see who can beat “Asphalt 6: Adrenaline” first. I won, and it is an amazing game, and probably has the best graphics of a iPad/Pod/Phone game I have ever seen. Needless to say, I never got that much needed sleep on the way to the tournament, but I wasn’t terribly tired. Well enough of that… here is exactly what happened when I got there. I arrived, started trading and buying, and I ended up getting a Suicune gold star, some random Charizards that I needed for my Charizard collection, and a sealed Base Set 1st edition German booster, so that was pretty cool. I also got some other random Charizards which I collect, and then I got registered. It was the smoothest registration ever. I would like to give a shoutouts to some people. Joey, my team member, for coming to his first tournament! Even though he went 2-5 and lost to 2 Durant in a row with Zekrom/Eelektrik/Zebstrika NXD, congrats for your first event. Thank you Alice for letting me borrow your car because mine was in the shop. Thank you to my supportive Mom for always cheering me on during my matches, and giving me a ride there. And thank you to all those people that I tested against on PlayTCG for helping me get ready. Also, thanks to all of those people over on Pokégym who helped me to get a fully reverse holo deck! In addition to that, thank you judges and volunteers for a smooth registration and event in general. Well, enough of my pre-event gibberish, and on to my deck list ant the event itself. Round 6 Vs. ??? with ??? 1. I have sick luck. 2. Zekrom/Eels took up a good 90% of the meta. 3. CMT is really good. 4. QuadTerrakion won Masters at my States. PokeGymI got a T2 Emboar and a Mewtwo with three Energy. I Catcher KO’d his Totodiles, so he didn’t last very long. I ended up taking four prizes when he had no more Pokémon, and he only took one. I hate winning with Mewtwo, but I had to. It was a fast game, but it was a fun one too. Thanks for the good match, and I hope we get to have a real game sometime. This was easily my second favorite match of the day. We both had awesome starts, with us both being able to attack T2. I will tell you that I took a prize with my Reshiram. That was when the Mewtwo war started, so I will save you the boredom of listening to Mewtwos OHKOing each other, and skip right to the end. It ends with us both having a single prize left, and I can OHKO whatever he has, but he needs to topdeck a Catcher to win, and he topdecks a Pokégear. He uses it for a Juniper and gets Catcher for the game. It came down to luck, but I suppose luck is always going to be a factor. This was, without a doubt, my favorite game of the day. I let him take the first prize by leading with Cleffa to his Mewtwo EX with DCE, so I can use Twins for a Rare Candy and Emboar, allowing me to start attacking with ReshiramEX T2. We traded prizes for a while, and it came down to 1-2, with him having one. I have no way to KO his Mewtwo because he had Catcher KO’d my Emboar. I topdeck a Catcher and pull up a Darmanitan with no energy, and use Eek with my active Cleffa, just needing an energy and a Junk Arm. I get the energy, but no Junk Arm. His turn, he Catchers my Reshiram EX and passes. 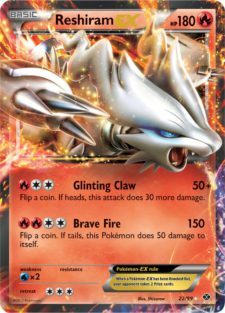 I topdeck a Junk Arm for a Switch, because Reshiram had no energy on it. I Eek, and I need to stay asleep or I lose. I stay asleep. I got the Junk Arm, and next turn I retreat Cleffa, Catcher his Mewtwo-EX and KO it with my Mewtwo for game. Closest game of my life. Pokemon ParadijsThis guy’s list was amazing. I mean, he should win Worlds with it! All right, he asked me to say that, so I did. It was still an awesome list. He starts Virizion and I start Reshiram EX. I attach DCE and pass. He Double Draws and ends his turn with that. I whiff the Energy I need to KO it (I had a Fliptini on my bench to re-flip for Glinting Claw) and pass. He Leaf Wallops my Reshiram EX and passes. I whiff on the energy yet again, and he Catcher KOs my Tepig. I draw the Energy and KO his Virizion with Glinting Claw, and he KOs my Reshiram EX with a Mewtwo EX. I forgot how he pulled it off, but he did. I drew, attached a DCE to my Mewtwo to KO his, and he didn’t get another attack off the whole game. He got a rocket start, and I got absolutely nothing. I didn’t draw anything I needed, and I only managed to take two prizes. I don’t even know what this deck was. My only Pokémon got T2 KO’d by a Mewtwo. Oh well, there goes my shot at top cut. But at least I got a door prize! I got a cool set of Japanese Sleeves that I traded for an Umbreon gold star, so that was cool. I also got a Zekrom tin and pulled a Mewtwo EX later that day, so I had three. It was a great day. I got to watch QuadTerrakion win! That’s right, I was at the Virginia States. But, enough rambling, let’s get on with some things I learned. Every time I got N’d, I drew exactly what I needed. I always topdecked what I wanted. That must be why I have done well with Reshiboar in the past. All of the above statements are true of Zekrom/Eels. It is a hard-hitting deck with a lot of options. An overall great deck, but I think it has taken over because it is so cheap. If it was as expensive as CMT, I think they would see equal play. But, because Mewtwo is so EXpensive, most people can’t play CMT. I saw a lot of CMT in top cut, and I saw some really consistent builds. While it might be EXpensive, it is still really good. I probably would have played it if I could have. It is a really fast deck, and it even has some sort of late game. I played a fun match against a Zekrom/Eels, and I donked with Mewtwo, and my deck isn’t even designed to do that! CMT can donk even better, and that is the main reason why it is good. Even if you don’t donk, you can put a lot of early game pressure on your opponent, which is awesome. I might play this deck for Regionals, but I will see if I can get all the cards for it before I promise anything. Pokemon ParadijsYes, that’s right, I live in Virginia. It was a really good deck, it countered Zekrom/Eels, but has a bad matchup against CMT in my opinion. The idea was to keep energy going with Exp. Share and be using Retaliate and Land Crush constantly. Curran Hill’s list seemed very consistent, but I don’t know it. If you want to see it in action, you can go over to The Top Cut on YouTube, and they have a few videos of it battling up. It seemed to use Lost Remover and Crushing Hammer to be always removing energy from your opponent’s field, and it also seemed to have a lot of draw support. It overall seemed solid, and I would recommend testing against it. If a nuclear bomb went off, two things would survive: cockroaches and Durant. We just can’t seem to get rid of that ant. In Virginia, it made Top 4 in Masters, and was knocked out by Curran Hill’s QuadTerrakion. I really don’t want to talk much about it, because it didn’t really get any new tricks from Next Destinies, and you should know exactly what this deck does. I don’t really feel like there is much else to talk about, nothing else seems to be doing great, but Tyram did take a States in Italy to my understanding, so let’s talk about why it could make a comeback. Well, it really didn’t gain much, apart from Reshiram EX. That might be enough. While it can’t get a T2 Brave Fire that often, it does make a great attacker in the turns after T3 or T4. It has an answer to Mewtwo that isn’t Mewtwo, which is also nice. That answer is Reshiram BLW. Because it discards energy, it has the potential to give Mewtwo EX a really hard time. It gets a favorable matchup against Durant, but a slightly unfavorable one against Zekrom/Eels. It has a favorable matchup against Durant because it can just Glinting Claw for Knockout or Flare Destroy for Knockout, but Zekrom/Eels beats it at its own game. Pokemon ParadijsThey will be OHKOing each other after Bolt Strike/Afterburner damage, and Eelektrik does exactly what Typhlosion does, but is a Stage 1. It can’t attach to the active, but it doesn’t do 10 damage every time you use it. I honestly don’t know what their metagame was, so I can’t say why it won, because Zekrom/Eels outclasses it. Unless he hit Durant every round, I don’t know how he won. The deck has more cons than pros, in my opinion. And that’s about it. So, let me ramble for a moment. If you want to join my team, called Team Protector, do not hesitate to PM me about it! Just PM me with your record, what deck you are playing and your age division and you will most likely be approved. Please, comment on what you want me to write about next. I was thinking about Magikarp HGSS donk, just as a funny article. This is a really short article, I know. It is because I am in the middle of moving, and I don’t much time right now. I am sorry for the shortness of this article, I just wanted to let you guys know how I did. I should be going to Regionals, so expect that report, and I will be writing more CotDs as soon as I can, so expect that. And like I said, If you want to join my team, just PM me. Well, until next time, peace! Emboar just isn’t what it used to be, bro. You started with a paragraph where you /could/ have explained your deck and card choices you made, as well as explaining why you chose to play Reshiboar over other, more competitive choices like ZekEels or CMT. Instead, we got close to 500 words discussing your ride to the event and other generally unimportant things. After that, we got the actual matches. Not too in-depth, not too short, decent overall. Nothing much to complain about there. And then there was the conclusion part. There was literally nothing there we hadn’t heard a bunch of times already. ZekEels is good, CMT is good, Durant is good, Terrakion won Virginia States, Tyram is decent but not amazing. Really, at this point we still haven’t actually learned anything from the article. -No, accepting anyone into your team regardless of age division or you actually having met them before isn’t a good idea. -No, joke decks stopped being funny a few years ago, and they have never been suitable for the FP (see, for example, Redados’s Joltik article which recieved generally very negative attention for quite a while). -NO, writing a lackluster article and blaming it on lack of time isn’t a valid excuse. There was no reason to rush this article, nor has anyone forced you to write an article. If you’re moving houses, wait with writing your article until you’ve finished moving and have sufficient time to be able to write something more informative and entertaining. I don’t think Quad Terrakion’s CMT matchup is as bad as people assume. It’s a legit deck, but even then I’m (pleasantly) surprised to see that it won. A: You’re playing Emboar. What did you expect? This format is too fast and basic-happy for stage two decks to do well. I wouldn’t have used Reshiboar if I were you. Here’s why you’re not winning. 1. Stage 2 decks can’t keep up. Especially Reshiboar. 2. Your deck list is awful. Sorry. I thought the article was decent so I’ll give it a like though. I built Quad Terrakion and in 4 games against CMT, I won 3 of them. Sure, a couple important things were prized, but that’s always going to happen. I think CMT’s best bet is to swarm Tornaduses and give me 1 prize instead of 2 for my 2 attacks, and still 2 shot me. However, if I Lost Remover your DCE and leave you with no energy, you’re more screwed. Props for the all RH deck, I’m still trying to get all RH for my Gyarados deck. I don’t think I even have half an RH Gyarados deck right now. I noticed how there’s only one pokemon in your list in which RH is the coolest it gets, and that is Pignite. donk article except that mine was not a joke. I thought this was a decent article. Not bad, not great. It could’ve been more informative/descriptive. There are two things that I found funny which are just small, honest mistakes that everyone makes. 1. You say: ” I ended up getting a Suicune gold star, some random Charizards I needed for my Charizard collection”. And the very next sentence you say “I also got some other random Charizards which I collect”. 2. You say “That’s right, I live in Virginia” twice. 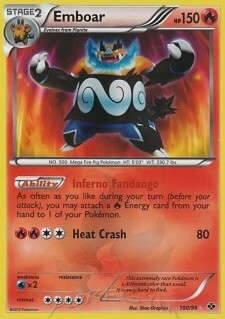 As for your next article, a suggestion is an Emboar article. 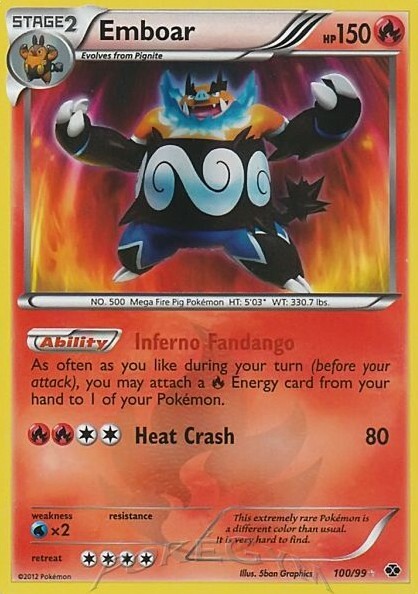 Sort of like a COTD, but you would talk about variations if Emboar and some rogues that Emboar could be used in. Sort of like that Legendary Bacon article but with lots of decks with a few lists and analysis’. Just a thought. I assume most people think that because Tornadus is a good Donphan counter, it would be a good Terrakion counter. Tornadus can 2-shot Donphan while Donphan has to 3-shot Tornadus. Versus Terrakion, it’s a lot different story. They 2-shot each other, but Tornadus usually loses a DCE, while Terrakion loses very little (assuming benched Exp. Shares). 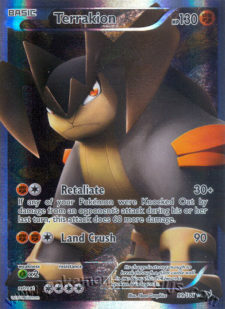 Also, you’re right about the Lost Remover, and the Terrakion player can make better use of Catcher in the matchup. I had to play a Quad Terrakion with my CMT at my provincials, and even running 4 Tornadus, it’s still a skilled matchup. CMT won out, but it was very, very close. Why can’t you do well? In your Reshiboar article, everyone told you that you needed more draw support. So you go to States running 3 Oaks and… that’s it. You have Twins and Collector as search, but your total search/draw supporters = 8 or 10 with Cilan. But sometimes decks just need straight draw, or more draw/hand refresh. You have 3 Pokegear 3.0 in your list, but what are you searching for? 1-2 of those slots would be better spent giving you draw support so you could actually pokegear for something that will help you with consistency. Not every situation calls for a Fisherman, a Cilan, nor a Collector. And you had 2 Cilan, 2 Fisherman and 2 Energy Retrieval in your list. That’s a lot of retrieval! Sure it’s Reshiboar, but when you get an Emboar KO’d, the last thing you want in your hand (or to pokeagear for) is a Fisherman or Cilan. Stephen. You have two choices. 2. Stop ignoring the constructive* criticisms about not just using Reshiboar, but what in your list can be improved. The front page of sixprizes is not a forum where you can make errant threads about what deck you like or want to try out. It is a place to post articles that are constructive and give something to the community that they hopefully have not already heard already. The reason people criticize you for articles such as these, is that your article does neither of these things. It is not constructive. You do not reflect on your list choices nor do you recognize any faults in your games. You do not provide a learning experience for the reader, nor an entertaining one. This article does not offer any information new to the sixprizes community. States have now come and past, and we have already heard that ZekEels is cheap, effective and good. We already know CMT is expensive, but dominant. We already know Durant has done well. We already know about Quad Terrakion. We also know about Donphan/Mewtwo which showed up. And we also know about ReshiPhlosion and it’s fair amount of success at states, as well as it’s shortcomings. And as others have noted, you are not being rushed. An incomplete article is inappropriate for the front page, no matter the reason. ok report. i honeslty dont think zekeels is cheap since it runs 2 mewtwo EX. CMT struggles against zekeels and unless they can deny eels early game then they lose. thats why CMT play was down. beat McClure, Dean, guy who won deleware in seniors(reshiphlosion) and alex who ran CMT. those were just the known players. also terrakion can best CMT i pretty much straight up smacked CMT with it. 2 to 1 prize trade yes please. Hey, remember when you said that you would prove that Reshiboar was tier 1.5 in your “What can we EXpect from states” article? Well… I guess we know how that turned out. Why didn’t you run more draw supporters? We TOLD you how to improve on your deck BEFORE you went to states. I wouldn’t have posted this report at all. This just gives the haters more fuel to bash a decent deck. Players don’t even take Reshiboar seriously anymore. You flip over Tepig and they’ll laugh at you. Your deck defenitly needs some work, so post it in the deck help section and get some feedback where we can help you. And LISTEN to us when we say that this isn’t good, or you should play more draw etc…. You know I’m a Reshiboar player just like you are, so you can BELIVE me when I tell you something. I still belive in Reshiboar and I’m still working towards making it better. I hope you do the same. Who says I think Tornadus is a Donphan counter or Terrakion counter? It’s just better than Mewtwo in the matchup. I play 1 Mewtwo just like every other budget player for budget purposes. Yes, Terrakion can beat CMT. I think that has been established. Say what? If you just stream a bunch of Mewtwo EX’s at them, Quad Terrakion can’t keep up. I really wish the dislike button was still around. I approved this since it’s at least fairly well written. I appreciate the civil feedback everyone has given since I think it’ll help Stephan out in the future. Do you believe in Santa too? If you’re playing Reshiboar, you’re playing an archetype. If you’re going to play an archetype, you might as well play the best one(s). So playing Reshiboar makes no sense to me whatsoever. You don’t even get the scrubby satisfaction of saying ‘yeah, I didn’t get near the top cut, but at least I’m playing rogue’. I think he put the decimal point in the wrong place. 1. In testing on PlayTCG, that exact list went 3-0 against Zekrom/Eels, 2-0 against MeesieMew, 3-0 against Durant and 2-1 against CMT. I just don’t understand why it always does so well in testing and so bad at events. 2. The above statement, and thanks for the like! On PlayTCG, it went 3-0 against Zekrom/Eels, 2-0 against MeesieMew, 3-0 against Durant, 1-0 against The Truth and 2-1 against CMT. That is why I went with it. I am a Senior, and look at my reply to ofr3ako to clear up why I used Reshiboar. If you’re decks consistently do well in testing, but then consistently bad in tournaments, it probably means the lists you’re testing against aren’t very good, or the players playing them aren’t the most skilled. I have 2 Shiny Emboar, 3 Reshiram-EX full art, 3 Reshiram Full art, 2 Mewtwo-EX Full art, a Victini Full art and I hat the Promo Cleffa’s artwork. I will work on the article you suggested as soon as I can. I went with that list because it went 3-0 against Zekrom/Eels, 2-0 against MeesieMew, 3-0 against Durant, 1-0 against The Truth and 2-1 against CMT in my testing. Sweet! Glad to hear you did so good! I was going to make it, but my car decided that it had to have another problem. I know that no one forced me to write the article, but if I hadn’t written it in the two hour break that I had, I wouldn’t have been able to start it until April 7th. And about the team, I said you will most likely be accepted. And I know that a lot of people have been saying what I said, but whatever. I do not like the “Other, more competitive decks.”. And what do I need to explain? Fliptini? Cleffa? Emboar? Reshiram? Or maybe Mewtwo-EX? Almost every single card in my list is obvious. I am not trying to be rude or anything, I am just trying to be to the point. I don’t play anything but Reshiboar because I don’t think the game of Pokemon should be about everyone playing the BDIF so that they can get into Worlds, I think it should be about having fun and trying your best. Reshiboar and Scizor Prime are the only decks I like in HGSS-on, and I don’t think Scizor can do great. In testing, it was Tier 1. My decks always fail at big events, but do amazing at Cities/Battle Roads. In testing, it was 3-0 against Zekrom/Eels, 2-0 against MeesieMew, 3-0 against Durant, 1-0 against The Truth and 2-1 against CMT. And that is helpful how? Terrakion runs EXP. Share, so that means that Mewtwo gets hit for 90 every turn assuming EXP. Shares are kept on the bench at all times and there’s always an energy drop. Not too hard because the deck runs 4 EXP. Share, 4 Junk Arm, and 12-15 Energy. This means that even if every Mewtwo gets loaded up to KO a Terrakion every turn, the prize exchange is still 1-0-1-2-1-0-1-2, and I don’t see a way to get a KO every turn on Terrakion especially with lists that play Defender. Even though the Promo Cleffa’s artwork is the same as the HS one’s artwork. You obviously got really lucky, didn’t test enough, or were playing against bad opponent’s with bad versions of the deck. You contradicted yourself in one sentence. If you want to try your best, use the best decks. If you run eviolite, you will usually be up 3-0 on prizes before they get their first knock out. Rinse and repeat with a second Mewtwo EX with eviolite, hit them with a few N so they don’t hit the resources they need, and you got your easy win over Quad Terrakion. It’s really not a good deck. It won in Week 1 because of the surprise factor, and that the meta was so heavily leaned towards Lightning decks week 1. But now that the meta has moved to more Durant, Celebi/Mewtwo, and Reshiphlosion, Quad Terrakion just isn’t a good deck. It just hasn’t been relevant outside of week 1. It only got play at the bottom tables at the states I went to week 2 and 3. Landorus/Terrakion is the main fighting deck of the format, and much superior to Quad Terrakion. I think you know that I meant do your best with what you are playing. Or, maybe I just have really bad luck at large events. I had said in my list when I submitted it that I was using Cleffa CoL.
It’s never you is it? It’s never your choice of deck, or your playtesting. Same attitude as with your articles. When you get criticised, it’s not because they are bad, it’s because other people are negative/wrong/don’t understand. If you ever wake up and see what is going on here, then you will be able to improve. Or you could just keep telling yourself the same crap. Up to you really. Well that answers my question on whether or not you like Reshiboar. Hey Eli I hear you got third at Maryland states. That insane. Your Durant list is tearing up states. Oh yea and if your could reply to this telling me who you beat that would awesome! see you at league. You said you had sick luck. Don’t kid yourself. Also, 3 games isn’t enough testing to give an indication of any deck, whether or not you were playing good or bad lists. The thing is, that’s not accurate testing. How do you know all the opponents you battled were good? How do you know you didn’t get lucky. I’ve been testing a fun deck that wasn’t good before and it went 3-0 against an archetype. If I stopped right there, that matchup would have been an autowin and I would have been very disappointed. However, I tested a few more games with it and lost all of them. 10+ games is the only way to get an accurate picture of a matchup. (Actually, you should probably test 100+ games with a matchup, but that’s hard for a lot of people, but you need at least 10.) At least now you’ve learned your lesson. I’m Andrew Reynolds and i was your round 2 zekeels opponent i didn’t run mewtwo by the way and i couldn’t t2 attack cause i ran tornadus i made top 8 and played against dean in top and went 4-2 in swiss and 1-2 in top 8 finishing 8th. I don’t know who I played, but I know what. My top 16 match was against a Celebi/Mewtwo deck (No Tornadus). Then I played a Donphan/Mewtwo EX deck in top 8. I lost to the second place Zekeels player, not Ben Potter. My top 4 was really close. I won the first game but then was beaten the next. When starting the third game, time was called. He had 2 free retreat Tynamos and a Tyrouge on bench for me to kill with Vice Grip, and I had the Catcher and energy to do so. Unfortunately he played two level Balls to get the Eelectriks. He then proceeded to PONT and snags the Eviolite for the win :P.
You’re kidding me. He just made up his 2nd round match? It could be that he just had matches blend together in his memory, but given Stephen’s writing previously, this is highly suspect. @Editors: Quality Control? For the future if nothing more? I’m surprised that this doesn’t haven’t a negative rating yet. He got really angry by the end of game 2 (I won game 1). He started to grab my discard pile without asking and then slamming it down on the table. He also broke a sleeve while shuffling because he was being rough with the cards. What can I say? 60 damage a turn is not enough to beat Durant. I also got a good number of Crushing Hammer heads. Which CMT lists run Eviolite? Terrakion IS viable. CMT is too expensive for everyone to play it, and Zekeels usually won’t win against it unless they play 3 Mewtwo. Also, you’re forgetting that you would need a couple of GOD hands to OHKO a Terrakion T1 with Mewtwo, and if Terrakion goes first you can usually get swinging for 90 before Mewtwo is loaded up enough. I don’t think you can consistently have Mewtwos with 4 Energy each time because that requires a DCE+DCE, or DCE+Manual attach+Forest Breath. We all know what happens to DCEs against Terrakion. Plus you need 5 to one-shot one with 2 energy who just Retaliated. you think you can handle that? Even if you’re given three turns, Crushing Hammers and Lost Removers get in your way too much to be able to consistently OHKO Terrakions. I say in my decklists at tournaments that I use Full-Arts even though I don’t. You also probably shouldn’t expect me to look at which Cleffa you used. Good CMT lists run 1-2 Eviolites. Useful in many situations. c) Eviolite on Mewtwo works well in the Mewtwo war and forces your opponent to have 3 energy and be easily revengeable. It also protects against DCE + Pluspower to get the subsequent revenge on your Mewtwo. d) Useful in ZekEels matchup to protect Mewtwo from Zek EX Strong Volt. Hey what up Everrett (completely sorry if I spelled that wrong) it’s Alex, and you will never know how psyched I am to hear that you beat Dean. Total CONGRATS! Hey Everrett I wouldn’t run Terrakion after Regionals. Point in being Tornadus EX, and if you very inconveniently run into my Jumpluff deck you’re going to loose. Just wanted to take the time to say…hey. Oh, and congrats on beating me at Maryland states top four, It’s Kind of weird saying that, but the truth is if got to choose anyone in the world that got to beat me I’m glad it was you, because at least I had fun you know. That’s not advisable. If they deck-check you in top cuts, they can force you to use the full-art; and if you don’t have it, they’ll make you use basic energy. That happened to a lot of people at the Grinders with Typhlosion prime set vs. promo. Yeah, I had a minor caution for that at States. If it was Regionals or Nationals they could make you replace it. Trust me, it may feel like that’s what it is, but it really isn’t. I’m sorry, I haven’t been testing against Eviolite. I’ll change that. But 1-2 Eviolite, an unsearchable card with numbers that low can’t be something you’re riding on. Even if a Tornadus gets an Eviolite, I think I can just play a magical card called PlusPower. Before you give Mewtwo an Eviolite I think I’ll Catcher it and hit it for 90. 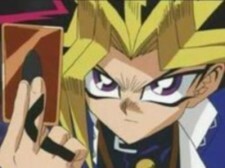 Then, even if you do attach one I’ll use that magical card I told you about earlier. And how does Eviolite help that much against Zekeels also? I don’t think PlusPower is that commonly played in mulitiples. All I can say is test it. I know it helped me in my games. Whether it’s a staple or the 61st card, I can’t say for sure. I think it largely depends on your playstyle, but it certainly shouldn’t be written off has having no use. Heck, one time I eviolited my damaged Celebi to prevent a 30-damage retaliate prize later. That play probably won me the game.